Brother – At your side? Transforming the business of Brother, a 100 years old multinational. 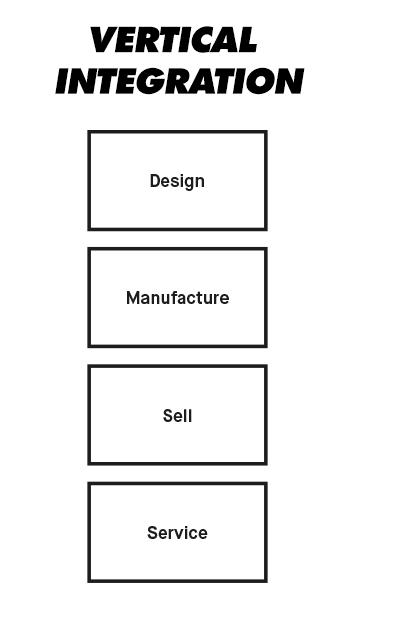 Role: User research, laddering, strategy, storytelling, creating a pitch deck. Founded in 1908 in Japan, multinational Brother mainly focuses on manufacturing printers. What does Brother need to do to survive in a future, where there might be no printers anymore? Industry trends show that the printing market is in decline. In homes by there is a -4,5% decline and although the printing market in business is stable, the paper and packaging industry is having a 5% loss in office each year. Why do people print? People often print if they need to print for somebody else, such as the government or tickets for events. Also people tend to print if they can’t focus on their activities while reading from digital devices, there is a sense of attention in printed information. This brought us to the core of Brothers business: valuable information. Do we still need to print this valuable information in the future? How does Brother meet the growing expectations of its clients? We investigated the point where they are actually in contact with their customers: the customer service. Calling Brother’s outsourced customer service, gave us a clear insight into the amount of steps the customer is going through before receiving what they want; a working printer. With a printing and paper market that is in decline, there will be less printers purchased in the future if it continues falling down. Competitors in the hardware arena are moving away from manufacturing. This does not only create an opportunity for Brother to focus on the hardware, but software must exist on hardware to deliver. Brother is capable of great connectivity. A printer can work with input from a wide array of hardware and software. It doesn’t matter if a PDF is send from a MacBook Pro or a Word document from an Android phone, the printer will successfully communicate with these devices and still deliver the print. In order to be more customer centric, we believe Brother needs to move towards owning the entire customer service. An example of a company that is doing this so called vertical integration well is Tesla Motors. This company designs, manufactures, sells and services their cars. Owning the customer experience top to bottom breeds consumer confidence. Currently the customer needs to go through a lot of steps, before they have a repaired printer. We want to reduce these steps, simplify the customer experience and get rid of all of the unnecessary friction. By connecting the printer directly to Brother’s system, Brother can already know that the printer is broken before the customer does. Instead of going through this whole process, the customer can get a message that their printer is broken and meanwhile Brother schedules an appointment to fix the printer. In this way Brother can really say ‘At your side’. Although as much as it is important for Brother to be by their customer’s side, printing is in decline and Brother must first sell their customers something they need. We detected two of Brother’s core strengths: manufacturing and connectivity. An emerging industry that needs both manufacturing and connectivity is the Internet of Things. It is predicted that 26 billion IoT devices will be installed by 2020 and that the impact of the Internet of Things on the global economy by 2025 will be as high as $6.2 trillion dollars. Brother will access this market by acquiring early-stage Internet of Things companies, that can bring them innovation, fresh ideas and energy. In this way Brother can better meet the demands of its customers. The other way around these startups will benefit from Brother’s sales, extensive knowledge in manufacturing and logistics. Instead of fear for the unknown, Brother should build on its strengths and be a frontrunner in manufacturing ‘things’, because software must exist on hardware to deliver.